General Motors’ LS (Gen. III/IV) series of engines is the engine swap king these days. In addition to the parade of factory LS-powered late-model cars, you’ll find LS engines in old-school street rods, resto-modded vintage muscle cars, classic trucks, and even asphalt-chewing race cars. There are three ways to make an LS swap happen. You can supply your own LS-equipped donor car, hit up the local junkyard for a discarded powerplant, or go the crate motor route. There are pros and cons to each, but an increasing number of swap-minded enthusiasts are opting for crate engines. 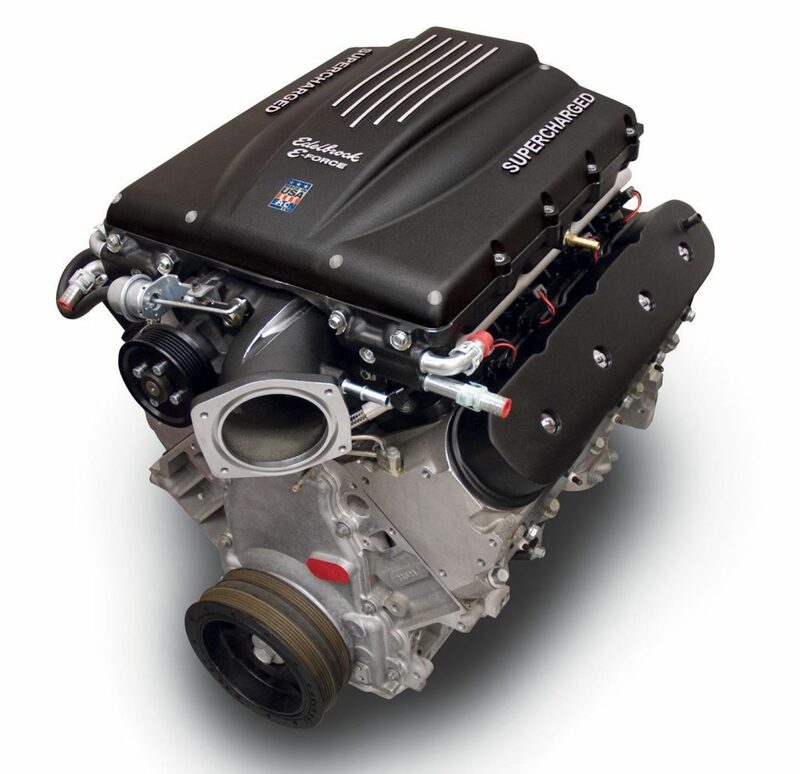 In fact, our sources at Chevrolet Performance have told us that LS crate engines are now outselling traditional Gen. I small blocks for the first time. If you’re leaning toward dropping in a fresh crate engine, we’ve put together a few viable options. We’d be remiss, though, if we didn’t acknowledge some of the LS short block assemblies available. These short blocks provide the block and key engine components but allow you to complete the build to suit your budget and tastes. 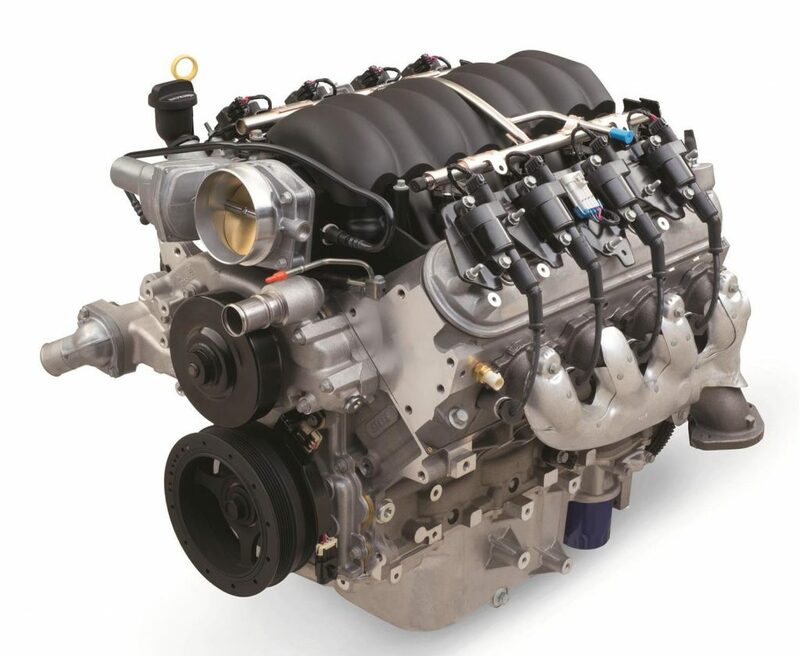 Chevrolet Performance, for example, offers a few value-biased short block options. If you’re going to tear down, inspect, and rebuild a junkyard find anyway, that price is extremely reasonable! For those of you looking for a more complete drop-in and dyno-tested package, we’ve listed a few excellent crate engine options below. In a future post, we’ll cover some of the hardware and other components you’ll need to make your LS swap a reality. 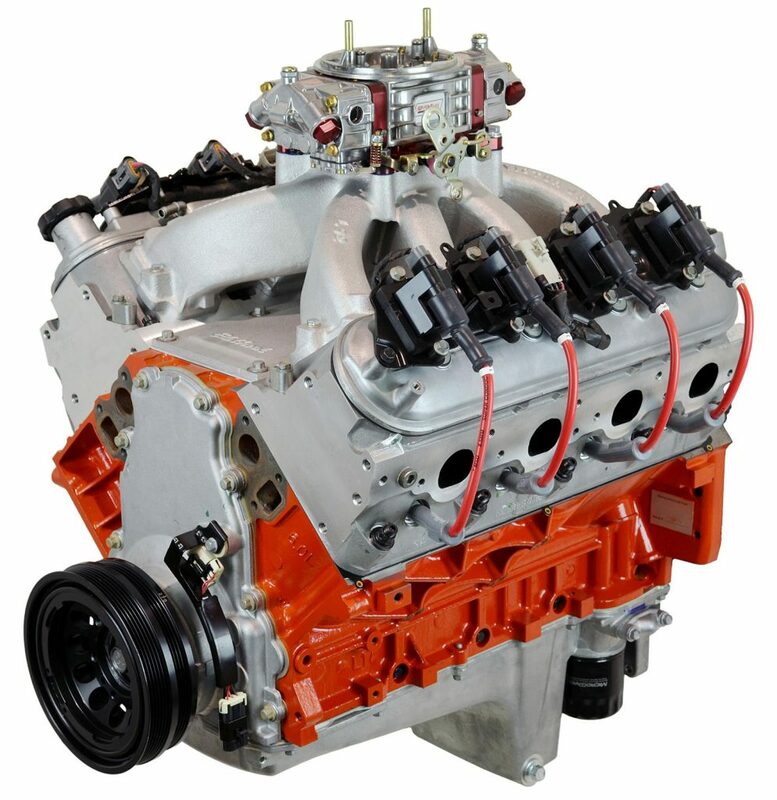 The Lowdown: This 6.2L LS3 crate engine comes direct from the Corvette, Camaro, and SS and is designed for pre-1976 street or any off-road vehicle. It provides excellent performance (430 horsepower) in an affordable package. For under seven grand, you get everything from the EFI intake to the oil pan. 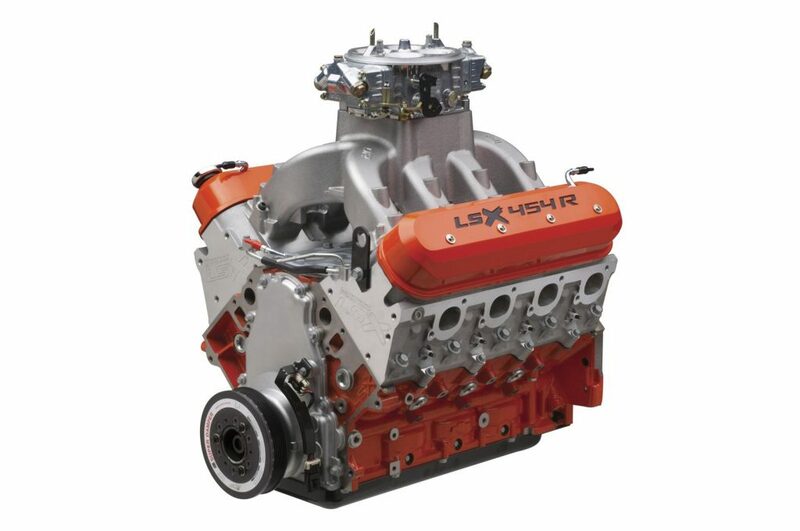 What You Get/What You Need: This package is built around a cast aluminum block with revised, rectangular-port heads borrowed from the famed LS7 engine. It has a nodular iron crankshaft, powdered metal connecting rods, and hypereutectic pistons. The camshaft is a hydraulic roller design with .551-inch intake/.522-inch exhaust lift. The package comes complete with ignition coil packs, spark plug wires, spark plugs, intake manifold, fuel injectors, throttle body, exhaust manifolds, flexplate, aluminum water pump, and harmonic balancer. It also includes a Corvette wet sump oil pan. Non-Corvette applications will require the purchase of a separate flexplate or flywheel. You’ll need to add an engine control system, pilot bearing for use with manual transmissions, starter, air filter, fuel pump, and accessory drive kit. The Lowdown: This engine takes the 430-horsepower LS3 above and swaps in Chevrolet Performance’s aggressive ASA camshaft, which was developed for high-rpm circle track racing. The cam switch is good for a total of 525 horsepower and results in one of Chevrolet Performance’s most powerful production-based crate engines. The camshaft specs are as follows: .525-inch lift intake/exhaust, 226-degree intake/236-degree exhaust duration, and tight 110-degree lobe separation angle. 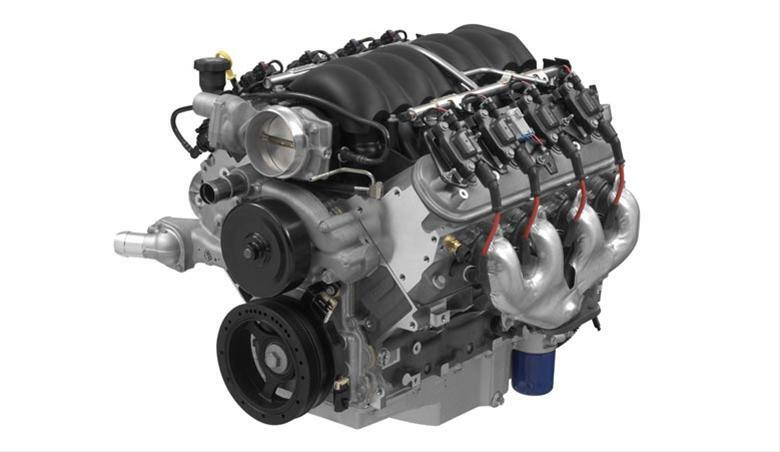 What You Get/What You Need: Like the base LS3 above, this engine features the cast aluminum LS3 block with nodular iron crankshaft, powdered metal connecting rods, and hypereutectic pistons. The package also comes with ignition coil packs, spark plug wires, spark plugs, intake manifold, fuel injectors, throttle body, exhaust manifolds, flexplate, aluminum water pump, and harmonic balancer. You’ll need a starter, fuel pump, air induction, and accessory drive brackets, plus a flywheel and pilot bearing for manual transmission applications. Chevrolet Performance says you’ll need tuning to make the most of this engine in late-model applications. For vintage cars, you’ll need an engine control kit (Chevrolet Performance recommends its 19259261 kit). The Lowdown: Another spin on the popular LS3! The 6.2L LS3 E-Rod engine is the first of its kind to be certified 50-state emissions legal (CARB E.O. #D-126-30). 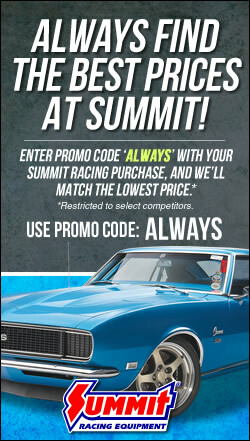 You get great power, value, and emissions-legality for your race car or street rod. What You Get/What You Need: In addition to the components in the 430-horsepower package above, this special emission-friendly package includes an engine control module with emissions-legal calibration, catalytic converters, oxygen sensors and bosses, fuel tank evaporative emissions canister, air filter, MAF sensor, and accelerator pedal. It has an automatic transmission calibration (Chevrolet recommends a Hydra-Matic 4L65E or 4L85E transmission). Also, you’ll want to use an oil pan suited for your application — either a pan for original LS-powered vehicles or Chevrolet’s muscle car oil pan kit for older cars. The Lowdown: This long block offers a fresh alternative to a high-mileage junkyard engine and can be completed to suit your tastes. Ideal for hot rod swaps or as a replacement for a 2001-07 Chevy truck LQ4, you can retrofit it with a carburetor or run factory fuel injection. What You Get/What You Need: You have the opportunity to complete this long block package with the components of your choice. It comes with the iron 6.0L block, GM 3.622-inch stroke crankshaft, forged powdered metal rods, hypereutectic dish pistons, moly rings, hydraulic roller cam, 1.7-ratio rocker arms, and OE aluminum cylinder heads. It’s a reasonable starting point at under $4,000, but you’ll have to add your own EFI or carbureted fuel delivery system, flexplate/flywheel, water pump, ignition components, intake manifold, harmonic balancer, and headers. The Lowdown: BluePrint offers a whopping 625 horses worth of LS power in a complete, drop-in package. For your money, you’re also getting BluePrint’s 30-month/50,000-mile warranty. 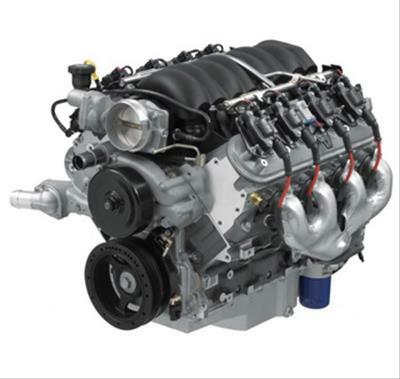 What You Get/What You Need: You get a brand new GM LS3/L92 aluminum engine block with all forged internals, Mahle piston rings, .624-inch lift hydraulic roller cam, and a premium true roller timing set. The comprehensive package also includes a 90mm throttle body, LS3 intake manifold, fuel rails and injectors, harmonic balancer, valve covers, coil packs, spark plugs, spark plug wires, and wiring harness. BluePrint also recommends a 2,200 stall converter, and the engine requires a non-weighted flexplate/flywheel. What You Get/What You Need: The centerpiece of this setup is the Eaton TVS 2300cc supercharger, which offers quiet performance and safe operation on 91 octane pump gas. 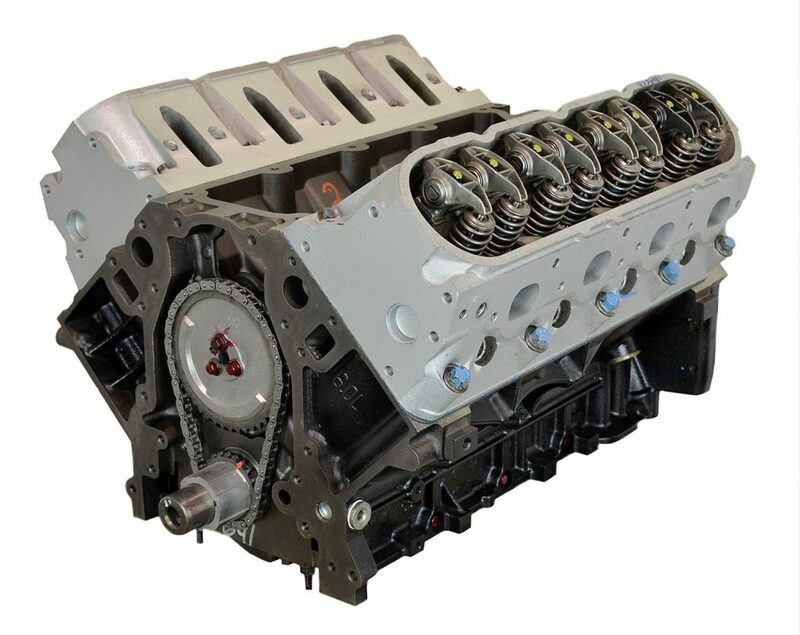 As you might imagine, the LS3 block is stuffed with forged internals, including the four-inch stroke crankshaft, H-beam rods, and pistons. In addition to the fully prepped long block, you get all the supercharger essentials, including intercooler. You also get the engine wiring harness, pre-programmed ECU, throttle body, ignition coils, as well as front drive accessories, including alternator, water pumps, power steering pump, idler pulleys, and more. The Lowdown: You get a complete crate engine that makes over 600 horsepower for less than ten grand! What You Get/What You Need: Built on GM’s 6.0L iron LQ4 block, this package has Manley forged internals, including a 4340 forged 4-inch stroker crankshaft and H-beam rods. The LS7-style hydraulic roller cam delivers .625 inches of lift, fostering maximum airflow through the LS3 aluminum heads. A Victor Jr. intake manifold, 850 cfm carburetor, 1.7-ratio roller rockers, aluminum oil pan, aluminum timing cover, harmonic balancer, ignition coils, ignition wires, spark plugs, and valve covers complete the setup. The Lowdown: Quite simply, this is Chevrolet Performance’s most powerful crate engine ever. It’s built for all-out racing and is intended for off-road use only. You get 776 horsepower and 649 ft.-lbs. of torque thanks to its high compression, solid roller cam combo. In combination with 11-degree, raised-port cylinder heads, the .738-inch lift camshaft produces tremendous airflow and high-rpm power. What You Get/What You Need: You get a stout engine built for durability. The cast iron LSX Bowtie block is filled with an all-forged rotating assembly. 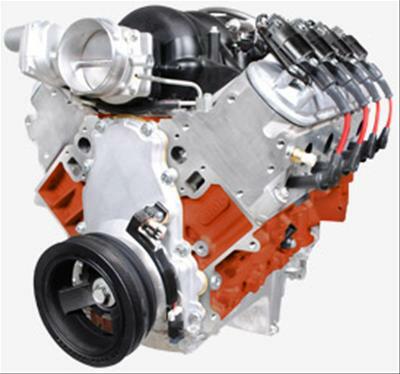 In addition to the high-lift cam, it includes the LSX DR cylinder heads, high-rise open plenum intake, and Dominator-style carburetor. It does not include an oil pan and requires and LSX ignition controller. You’ll also need to add your own fuel system components, flexplate/flywheel, and ignition components. I guess the 283 is gone but I still have 2 of them. Do all ls3 swaps require upgrading the radiator as well? I have a ’67 Camaro with 2 core radiator. I’m having a local shop convert to ls3, 4L60e automatic transmission, and new rear end. Mechanic tells me we do NOT need a new radiator. How can we not need a new radiator? Doesn’t the computer components of the new drivetrain tell the radiator and fans when to cool the engine? Thanks in advance. You will have some extra plumbing to do but the radiator may work. The 2 core is fairly small. It’s a bigger engine. You’ve spent that much on it. You can buy a swap radiator for less than $300. I don’t know why you wouldn’t go for a new one.